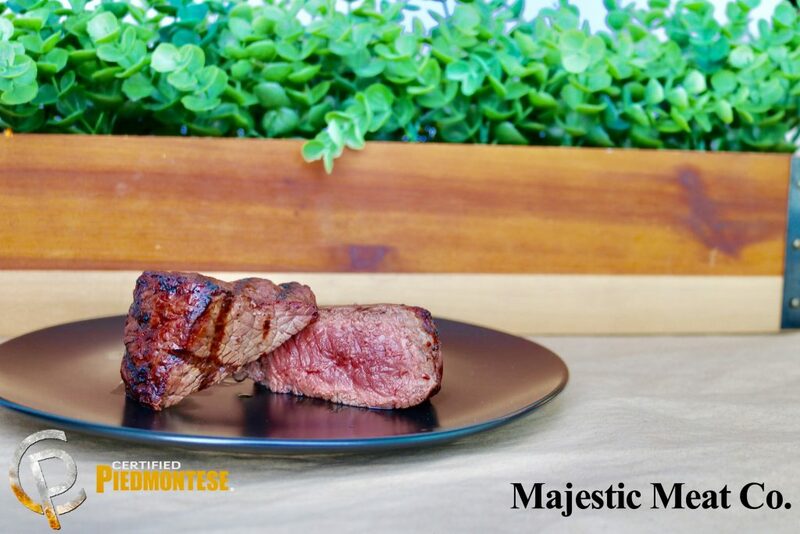 Majestic Meat Co. is a food servicing company, and more specifically, proteins. This means anything meat related, we can provide it. Our main customers are Utah based restaurants. Some of which include Valter’s Osteria, Log Haven Restaurant, River Horse on Main, Vessel Kitchen, Red Rock Brewery, Yuki Yama Sushi, Tsunami Restaurant & Sushi Bar, and Bambara. Even though the vast majority of business is “B2B” we do provide retail business. Many friends of those who work at Majestic Meat Co. buy their meat from us. 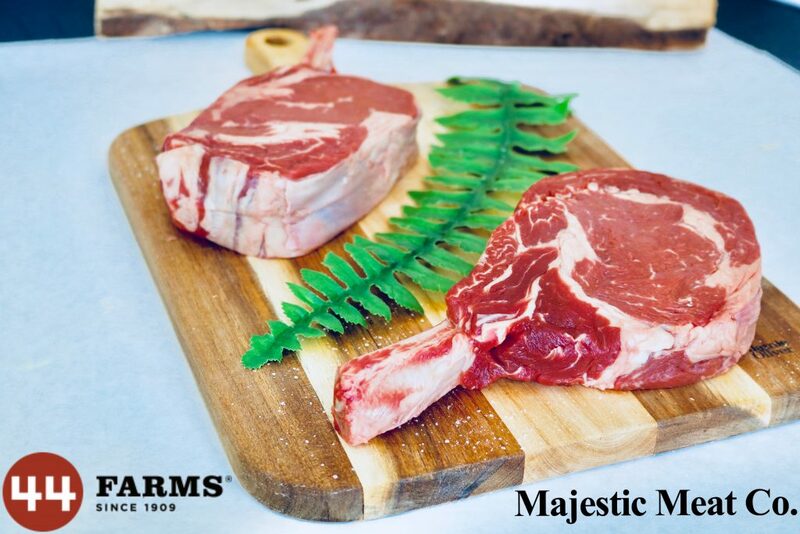 Majestic Meat Co. has an extremely impressive lineup of exclusive farms that we have chosen to partner with. Our exclusive partnerships include 44 Farms which is located in the city of Cameron. The 44 Farms ranch is the largest registered Black Angus cattle producer in Texas. 44 Farms is a working ranch, not a factory. A close relationship between rancher and livestock is what has helped make 44 Farms one of the premier Black Angus producers in the industry. Certified Piedmontese comes all the way from Italy and is now raised in Nebraska. Unlike other breeds, the Piedmontese has a unique genetic makeup. Certified Piedmontese Cattle are free to roam, enjoying all-natural feeds, fresh water, and comfortable surroundings. Piedmontese cattle quite literally have different genes, which makes it one of the most unique and rare product to experience. Smart Chicken out of Tecumseh Nebraska could very well be home to the world’s healthiest and flavorful chicken. Being the only producer in the country to hold both Certified Organic and Certified Humane statues, Smart Chicken has innovated the way chicken are raised and processed. 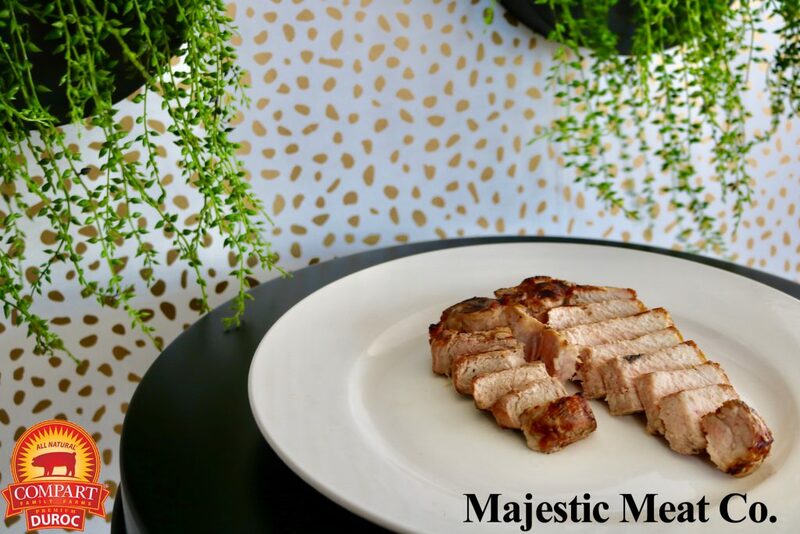 Compart Premium Duroc Pork is considered by many as the “black angus” of the pork industry. This is the result of a carefully managed pork breeding program. Compart Duroc hogs are bred, born, and raised on efficient family farms where family members are involved in the management of their stock. The breeding program is the result of over 75 years of combining the very best purebred lines of the Duroc breed. Grassland Dairy is a 5th generation family owned butter provider. 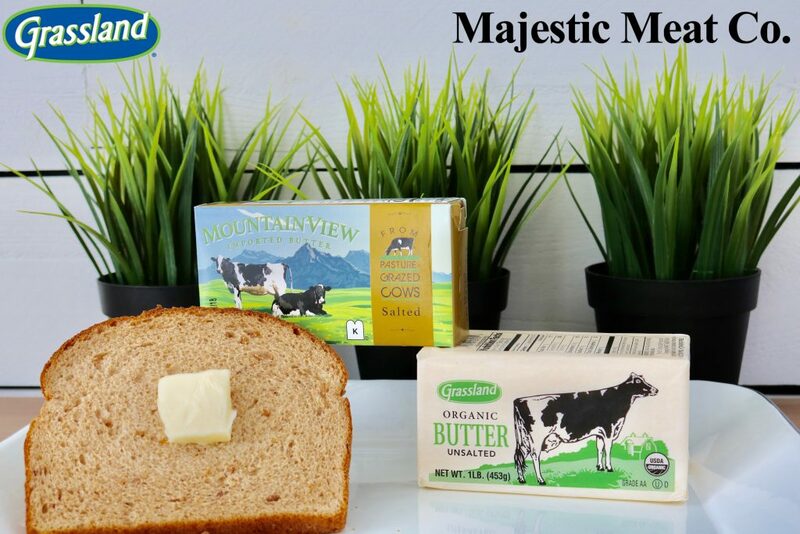 As one of the nation’s largest butter producers, Grasslands is able to meet any and all needs our customers may have. With an extremely impressive line of products that range from the usual salted butter to grass-fed and even non-GMO butter, there is something for every cooking need. We also provide commodity choices and other farms such as Durham Ranch for game, Morgan Valley Lamb, and Hi-Grade. These guys are truly amazing people and take care of their customers first hand. Great products, awesome prices. Excellent customer service and locally owned and operated. Can’t really ask for more. 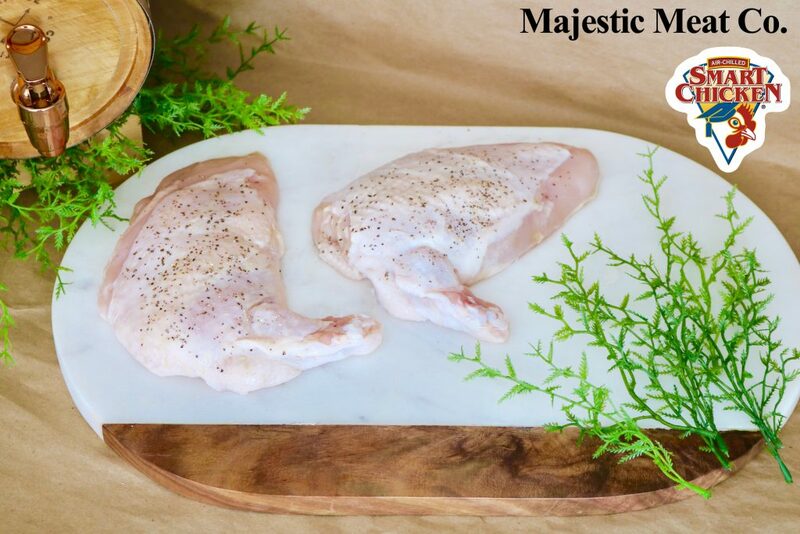 Majestic Meat Co. is a Salt Lake native, family owned and run business. Starting in 1969, by couple Sheldon and Sally Burt, the history and knowledge within the company is vast. In 2004 the company was purchased by the current owner and son-in-law to Sheldon and Sally, Raymond Zaelit. Creating a second generation, family run and owned business. Leading up to 2016, three generations of family worked within Majestic Meat Co. and unlike some of the larger food services in the region, we pride ourselves on our customer relationships. With the changing of the guard, came a change of game plan. Raymond, with the help of son Tyler, and fellow employees, began to bring in exclusive top of the line products and farms. Among those farms are 44 Farms, Certified Piedmontese, Smart Chicken, and Compart Duroc Pork. With plenty of other quality products and services, we challenge ourselves to maintain unparalleled quality and service. This entry was posted in Food and tagged Beef, chicken, Food, Meat on May 17, 2018 .